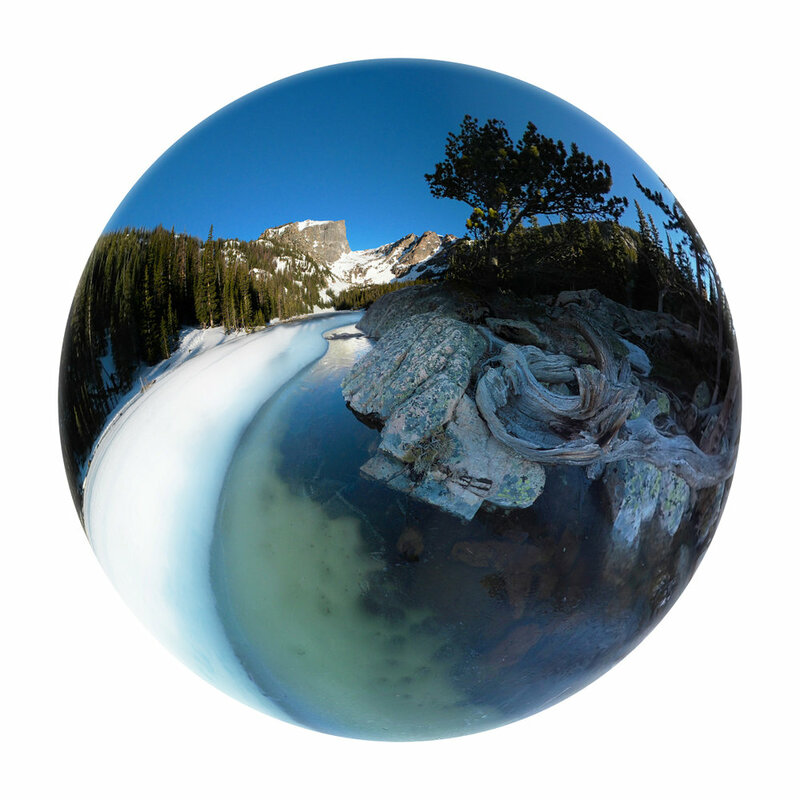 How can 360° media help journalists explain the geologic forces shaping our planet? 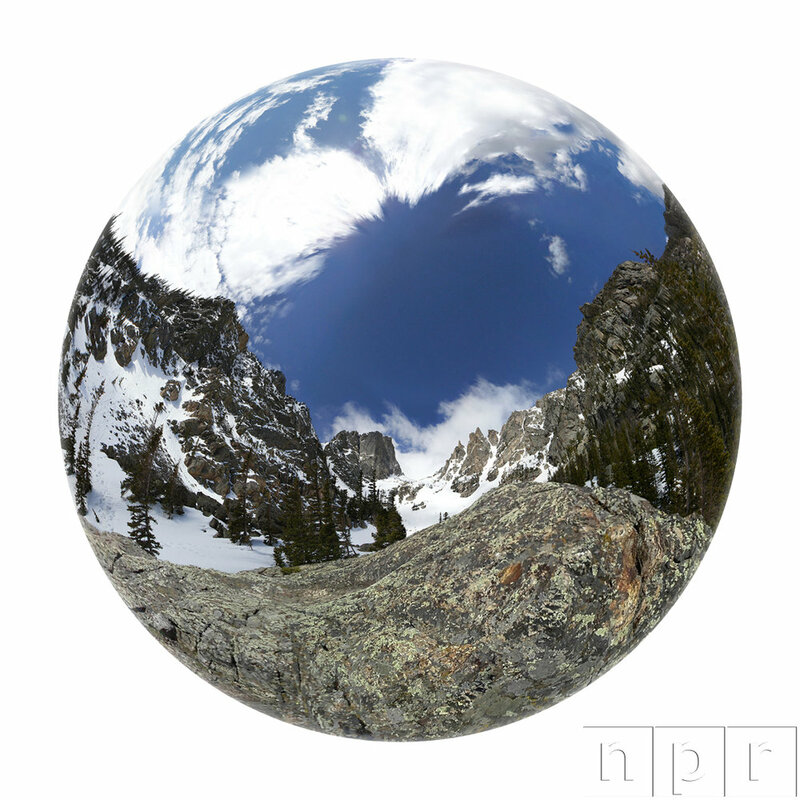 NPR's first 360° interactive story guides users through the natural history of Colorado's Rocky Mountain National Park with geology professor Eric Kirby. In May of 2016, I was contracted to produce 360° footage for the story alongside sound engineer Bill McQuay and NPR's senior interaction designer Wes Lindamood. Over the next two months, we worked with NPR's Visual's Team in Washington D.C. to process content and publish the feature. This included stitching footage, prototyping interactions for WebVR, and analyzing user data to improve usability and increase story completion. The story was a 2017 Online Journalism Awards (OJAs) Finalist for Excellence in Audio Digital Storytelling. "Very cool. I cannot wait to see how far this tech develops on the web. Barrier to entry is so low and the payoff… I mean. I don’t know that i’ll ever actually get to see those sights in person. But to be able to gaze around even in what you know to be a contrived setting. Magic." Afterwards, we would download raw content, charge and swap batteries, and refuel on coffee before transitioning to our next location. As NPR's foray into immersive storytelling and VR, we were in a unique position to test new approaches and prototype the experience from the ground up. WebVR was the decided platform as its accessible download-free framework best fit the pubic media audience. Similarly, 360° photographs were selected over video for the primary experience, as it would run more smoothly on a larger number of devices. 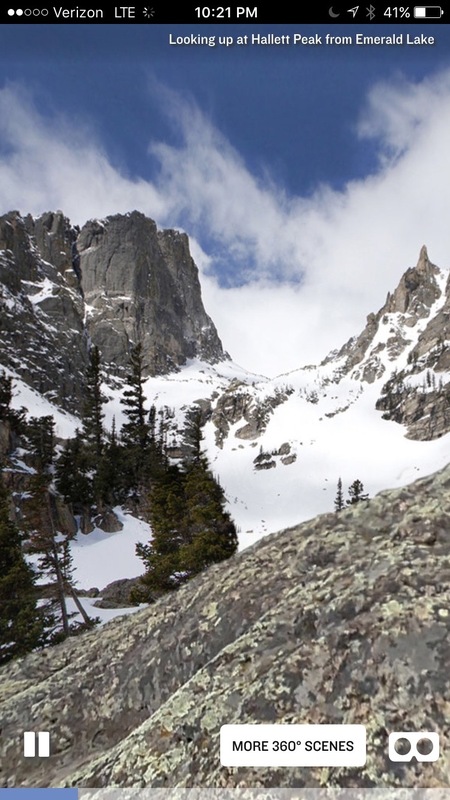 The mobile 360° use-case was prioritized, which does not require a VR headset but provides a dynamic experience that one can navigate by simply moving one's phone. After launch, we were surprised at the popularity of the desktop experience and quickly optimized the features to improve desktop usability. 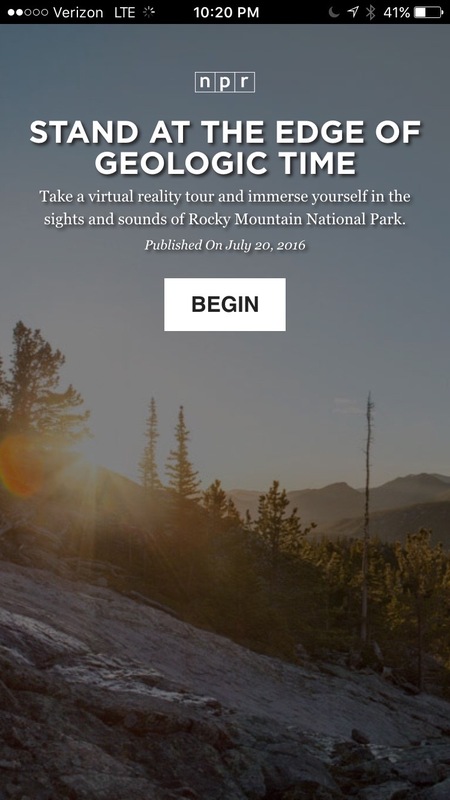 Of course, users with access to VR devices such as Google Cardboard can get the fully immersive experience with a simple tap of the button. 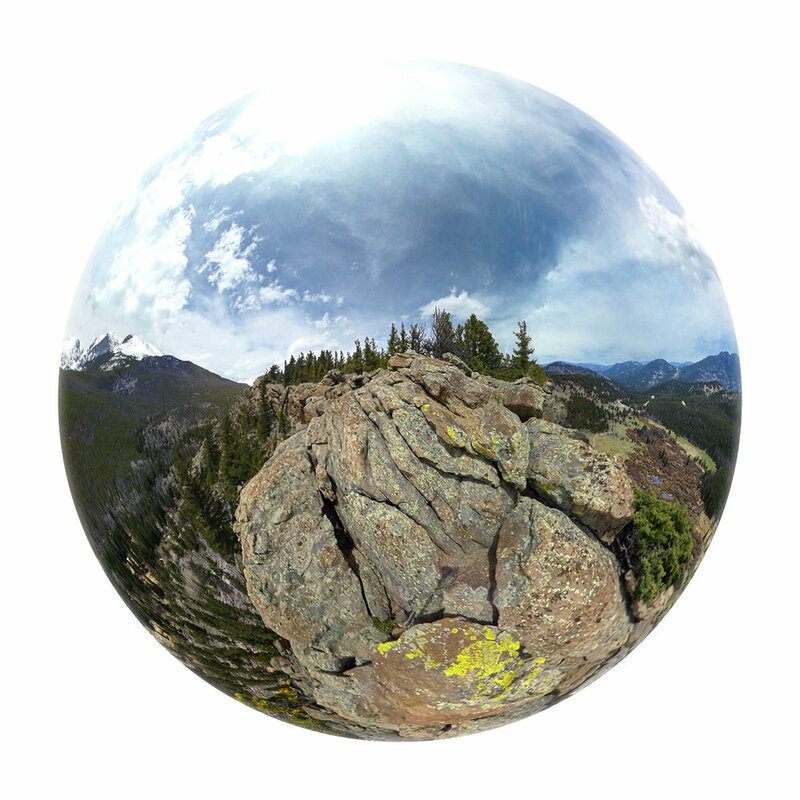 Despite new tools and 360° features, formatting 360° stories for social media platforms is quite challenging. That said, challenges are fun, and I had the opportunity to play with new forms of images and video for popular NPR channels on Facebook and Instagram. 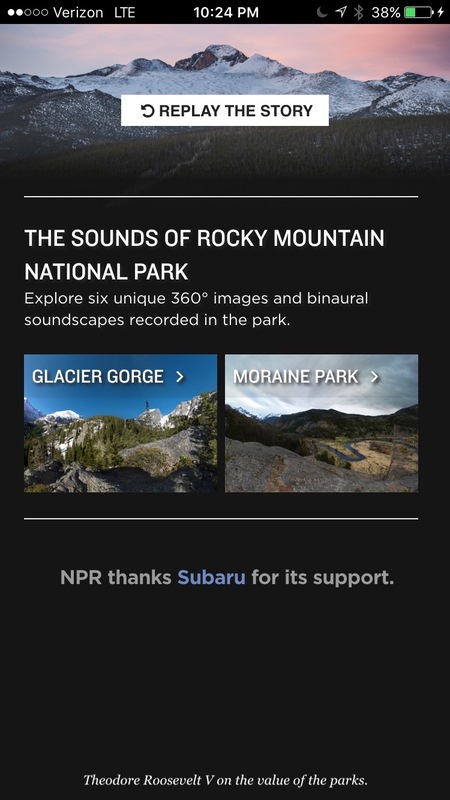 In addition to my work on Rocky Mountain VR, I spent the summer of 2016 with NPR's Digital Media Design Team at HQ in Washington D.C. Before my internship evolved into a role as a contract product designer, I described my experience for the NPR design blog.